“The measure to introduce fees to IVF treatment will result in discrimination between the have and who have not. Through this measure the government is pushing forward the neoliberal agenda by introducing fees in the health sector, thus undermining social justice. Public Health service should remain free”, stated the Communist Party of Malta. “Parliament should also introduce amendments to the approved bill to take in consideration the actual needs of the people, plus the fact that this bill is too conservative”. The Communist Party of Malta insists that IVF treatment should be available to all women irrespective of their social status. This will lead to more gender equality as males could also be single parents through an altruistic surrogate mother. Gay couples should also be eligible to IVF. Suffering from severe infertility problem? Want to experience the motherhood? Consult with Dr. Sumita Sofat as she is an expert surgeon for offering best IVF treatment in India with total satisfaction. IVF Centre in India must be chosen on the basis of skills of the surgeon and technologies used at centre. Visit our centre once to check our latest infertility techniques. Great Blog! Thanks for sharing such nice information. IVF is a type of assistive reproductive technology. 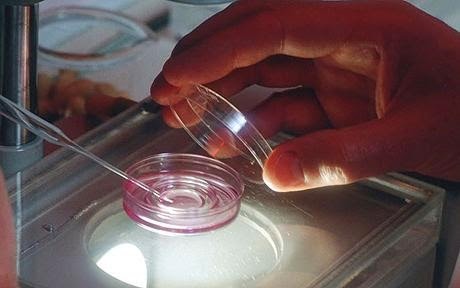 During an IVF procedure a joining of a woman’s egg and a man’s sperm in a medical laboratory. EVA Hospital is one of the best IVF Centre in Punjab. We offer the best treatment with advanced technology. Dr Shivani Bhutani is one of the best Gynaecologist at EVA Hospital. If anyone is looking for genuine IVF Cost in Punjab then must book your APPOINTMENT WITH Dr Shivani Bhutani. Call us and know more. Positive results for the Left in Chile.